Architects and contractors will be familiar with the challenge presented by the trend towards surfacing rooftops with gravel, paving or grass. Whatever the covering, absolute leak-tightness is paramount. In situations where traditional materials fail in combination, Triflex ProTect shines. 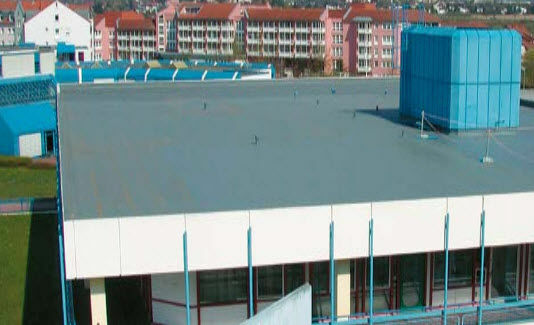 Be it on top of or underneath other coverings: the waterproofing system provides reliable, lasting protection for roofs. 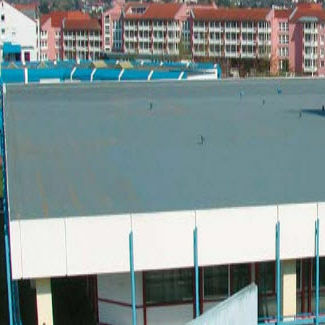 The full-surface-reinforced waterproofing system with a polymethyl methacrylate (PMMA) base is highly weather-resistant and resistant to UV and IR radiation. With its high resistance to hydrolysis, Triflex ProTect is also suitable for standing water applications e.g., fountains and water tanks.